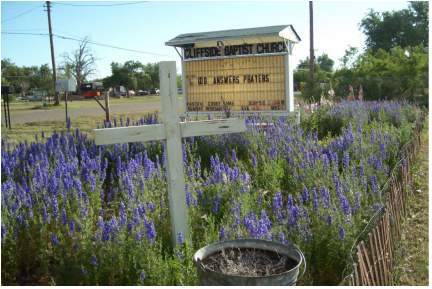 Located just seven short miles Northwest of Amarillo, Texas, Cliffside Baptist Church provides the perfect place to worship and raise a family in an inviting, down-home country atmosphere. Nestled in a valley just off the "Old Tascosa" trail, this quaint little church is bordered by stunning canyon vistas to the north and the Wild Cat Bluff Nature Center to the south. What better place to enjoy all of God's wonder and rugged beauty than this. It is our sincere hope and prayer that you will stop in and worship with us.